Happy New Year! Welcome to the new and improved DMP blog. Thank you so much for following us and keeping up with all things DMP. It’s a new year, new month, new week. Are you ready to tackle these big mountains in front of you? Let’s do it together. I recently saw a lot of posts about leaving this or that in 2016. I think it’s a great idea to use the new year to start something new. Although, a new day should come every 24 hours, not every 365 days, but a new start is a new start and it’s a good idea nonetheless. If you are leaving something in 2016, one thing you should do as an author is to leave any indecisiveness behind. What do I mean? I mean now is the time to step forward and do something about those lingering goals. If you are planning to be a best seller, come on, let’s make it happen. Need to brand and expand? What are you waiting on? I’m with you!! Let’s grind. Stop putting things off. Stop waiting for more money, more readers, more followers; place yourself in a position to get there. Now is the time. Don’t wait any longer to push toward your dream! Start making things happen now. I’m with you. I have things I’ve put off. Now is the time. Don’t wait any long. Put a list together and start knocking things off one by one! Here’s to a wonderful and prosperous 2017! Hire DMP to be your literary mentor. There’s no time like today to get started on your literary career. DMP will be launching its magazine Literary Digest on November 4th. We plan to feature authors, writers and business owners. This magazine will be filled with anything literary. Our promotion spotlight for this week is Social Media promotion. What you will be able to do with this promotion is have a status created that we will place in rotation for the number of days or weeks you are interested. This status will be posted on our Facebook and Twitter page. Then we will place your graphic on out Instagram page in rotation for the number of days or weeks that you will be promoting with us. This also comes with a FREE book review and book promotion in our magazine. Can’t beat that. I have posted the information below. Inquire accordingly and let us feature you! 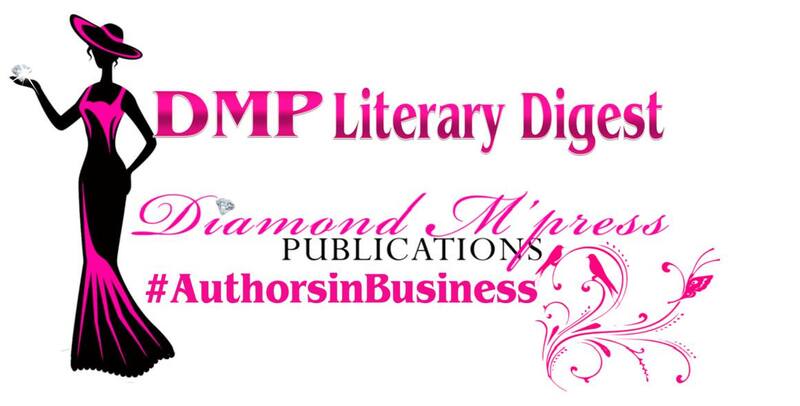 Promote your book, event etc on DMP’s Facebook and Twitter page. Status and tweets will be set up for you. All you will need to do is provide the content you’d like for us to promote on our pages. Text (EDITED) you would like for us to use in the promotion. Please be sure to read over your text for errors. Use hashtags and tag yourself in the message (use twitter) be sure to also use one link. Check out all of DMP’s features!